Squirrels can easily chew through wood and climb onto your roof and enter into your home. Squirrels can cause serious damage around your house which can be very pretty costly. 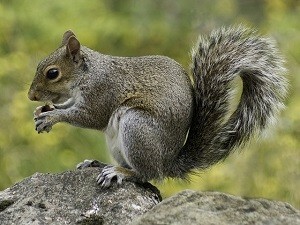 Squirrels are known to be more active in the daylight and quieter at night. It’s important that once you notice holes that were created by squirrels to fix them as soon as possible. Also, during the day make sure all windows and doors at shut properly, you don’t want any gaps open for squirrels to sneak in. If a squirrel does happen to enter your home, the best option is to contact a professional right away. Contact Absolut Pest Control at 978.388.4589 or fill out our contact form online for more information on our services!